Data information is so crucial in these times. 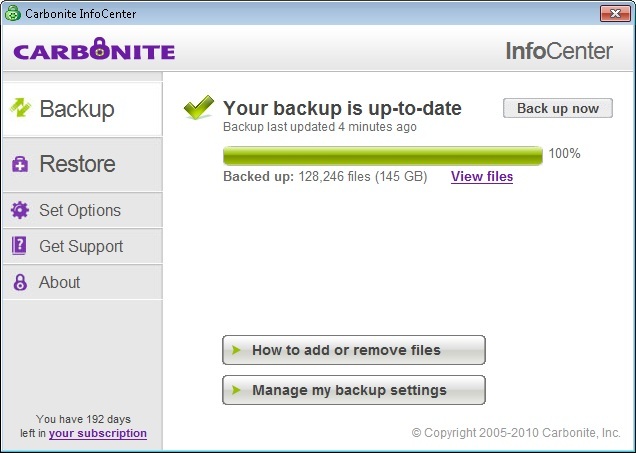 Try Carbonite Online Backup and protect what could be your most important asset your computer data. One question we often don’t think about is; what happens if we lose all our data? Think about what would happen if your business were to suddenly lose all of its important documents, emails, or any other crucial data. According to DTI, 70% of companies that experience major data loss end up going out of business. Don’t be part of this statistic.